The book is Cozy Minimalist Home by Myquillyn Smith, aka The Nester, and I count myself very lucky to have gotten a beautiful advance copy to review. I enjoyed Myquillyn’s first book, but it hasn’t made it into my permanent library. This book feels different. If you’ve been looking for a decorating book that has actual real-life helpful tips that you can apply right away, this is your book. I saved it for a weekend so I could read it from cover to cover all cozied up in bed with a cup of hot tea, and I was not disappointed! Evidence: I can’t remember the last time I pulled out my tin of book darts to use in a decorating book. Hah! Chapter five (about quieting your space), and chapter seven (on the decorating trinity) are totally worth the entry price on their own. Myquillyn does an excellent job of walking us through the nuts-and-bolts essentials of decorating in a relatable, authentic way. These are not the words of a professional interior designer issuing proclamations about how you should decorate your home — these are the words of an imperfect woman who can get sucked in by those Target end-cap displays just like the rest of us. 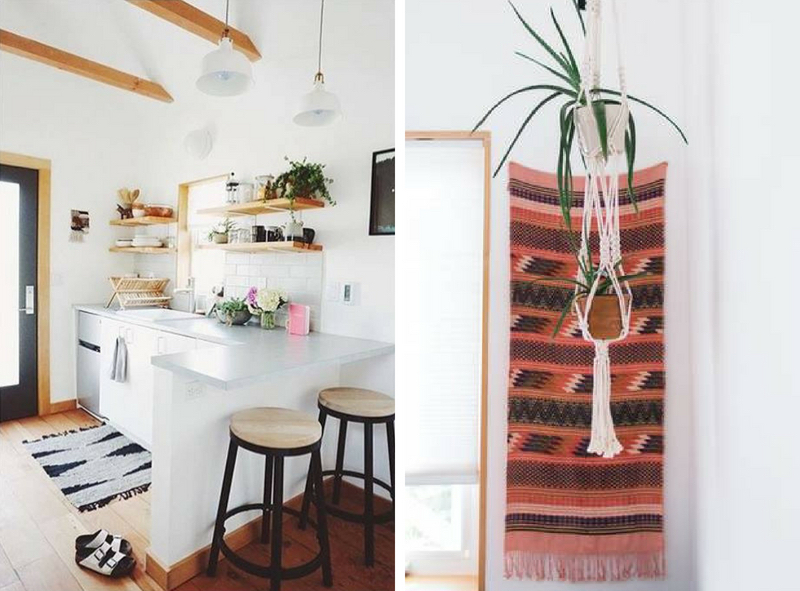 The concept of cozy minimalism feels like just the thing many of us are craving right now. Minimalism alone can feel restrictive and, frankly, no fun. But having too much stuff simply adds to our stress and overwhelm. Cozy minimalism, on the other hand, feels like hygge to me: it’s about focusing on what matters, clearing away what doesn’t, and connecting with the people and things you deeply love. If you order a copy by Saturday, October 27, at midnight (or if you’ve already ordered one) enter your purchase details at the Cozy Minimalist Home website, and you can take Myquillyn’s 4 Seasons Cozy course for free. Enjoy, and happy weekend! I'm back today to announce a fun offering that I've just cooked up: 12 Days of Holiday Hygge, a free course with six emails spread over 12 days. I came across these photos today (which I shot ages ago for a story in Gatherings Magazine) and the memories came flooding back: the days when my baby was just arriving and all of the mad preparations we made. Oh my! We had just bought our little 1920's house when I became pregnant, and it was painted in rainbow colors (literally! each room was a different color of the rainbow, starting with blood red and working its way through the spectrum...) so we had a lot of painting to do. Both sides of our family pitched in to get everything done, and painting everything soft cream, white, and pale blue completely changed the mood. I am a big believer in the power of your home + space to affect your mood and emotions, and I feel much better surrounded by soothing hues. Soothing colors like blue, soft green, cream, and lavender are also quite soothing for babies and creates a restful environment for sleep and quiet play. Also in preparation for baby we cleared out a great deal of clutter, clearing out extra space not only where you see it, but also the deep clutter hidden inside of cupboards and closets. Clutter that is crammed behind closed doors may not be readily visible, but it still creates stress. And goodness knows when you have a new little one to care for, extra stress is the last thing you need! I read the book The Peaceful Nursery, and this inspired me to be very intentional about simplifying: rather than springing for all of the "must haves" listed on baby sites, we considered what we would really use. Looking back, it's funny that we asked for a crib (a beautiful crib, seen above!) because we ended up co-sleeping almost entirely. If we have another baby, I may use it in our bedroom (our vintage cottage had very small rooms, so the crib wouldn't fit in our bedroom). As a new mom (also: breastfeeding) I couldn't imagine having to trek down the hall each time baby woke, but if it were near us, like our bassinet was when he was a newborn, I may have used it. A large shelf held blankets and wraps, rattles, board books, and stuffed animal friends when Bixby was a baby. As we entered the toddler years, more toys made their way into the room, along with a small play table and art supplies. It's not easy to stem the tide of toys, but keeping things simple offers great returns: when a child's room is simplified, play is calmer and more creative, cleanup is easier, and the space just feels better to be in. Today, Bixby is in Kindergarten, we live in a different home, thousands of miles away from this one, and his toys are certainly not all wood and handmade — but with the right intentions (and regular purging) we've found it is possible to find a sweet compromise. We can follow his interests (right now: predatory dinosaurs + Transformers) while still setting limits on how much space toys take up, and keeping other favorites in regular rotation. It's easy to feel you're "treating" your child to more, more, more, when really having just a few of something makes it so much more special. Simplifying, to me, means protecting your space + your time. We may not have power over much in the world, but intentionally choosing what to put in your home (and what to take out) and how to spend your time is something we can all do. You can choose to make some extra space and decide how to fill it: with creativity, with snuggles, with stories and silliness. If you are preparing to welcome a new little one, you can choose to create a simple, peaceful environment to spend those first precious weeks together.